Established in 1946, the Canadian Motorcycle Association (CMA) was in essence the beginning of organized motorcycle sport on a national level in Canada. This is where it basically all began and for six decades, the CMA has continuously provided the forum from which numerous Canadian motorcycle competitors developed and honed their skills in virtually every competitive discipline. It is in this area where the CMA shines and stands alone! Many of these Champions excelled not only in competition in Canada, but also on the International stage, proudly displaying the maple leaf and doing both themselves and Canada proud! As a point of interest, take a look at this random selection of Champions who have emerged from the CMA ranks. Some names will be more recognizable than others. They are all nonetheless, proven champions! The list is in random order and by no means inclusive, it does however graphically illustrate the depth of talent that developed and blossomed under the CMA banner. Weekend after weekend throughout the year, each and every year there are CMA organized events of all types providing the opportunity for riders to participate in the sport of their choice. 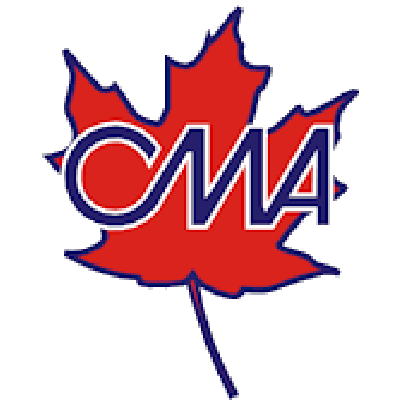 Thanks to the professionalism and stability of organizations such as the CMA, our sport has developed into a widely accepted, family oriented sport and very much a generational one! It’s not unusual to see the tradition move down the family line. Readily recognizable names such as the Sehls, Duhamels and Sharplesses among others come to mind. Any organization is fundamentally, no more or no less than, a product of its’ people. The CMA got off to a good start with its first president Ted Buck. Ted amazingly, still works a check crew at the annual Corduroy Enduro every fall! It (the CMA) has endured like any organization through good times and bad and has been fortunate to be guided through the years by an excellent succession of dedicated stewards. Joe Godsall of Vancouver BC is current CMA President, (2006) and Marilynn Bastedo, for many years, it’s very capable full time General Manager. The late Ron & Eve White (both Inducted into the Canadian Motorsport Hall of Fame in 1995), were prominent players in the 1950 and 60’s and may be credited with aligning the CMA with the International Motorcycle Sport Organization the FIM. By any measure, this CMA/FIM affiliation must be viewed as a significant and substantial contribution to the Canadian motorcycling scene that has produced many benefits. This important affiliation has enabled many of our well known competitors to compete Internationally. It has also brought numerous world champions to Canada! Names like Roger DeCoster, Sammy Miller, Mike Hailwood, Giacomo Agostini, Phil Read, and Bill Ivy to name a few. Not only have many Canadians had a chance they might not otherwise have had to see world class racers in action but Canadian riders have had the opportunity to compete against them in our own country.